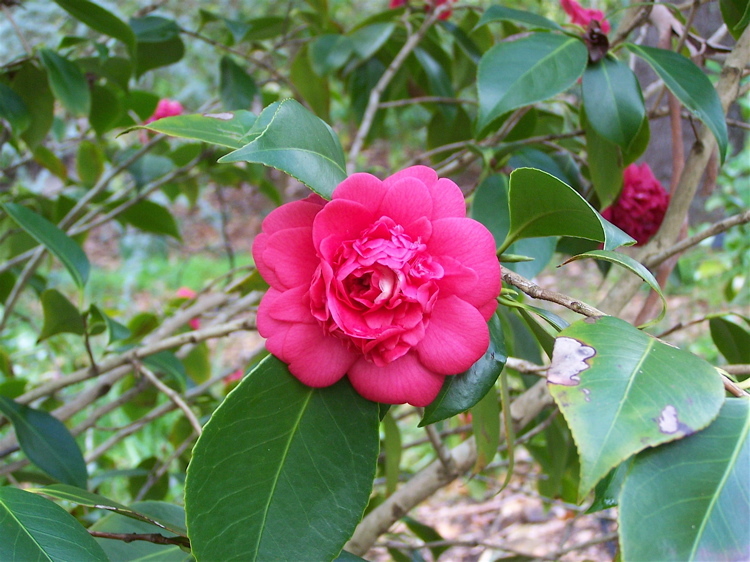 A cultivar of Camellia japonica L. Camden Park bred, seedling 58/52. ‘Bright lake crimson, very double, outer petals large and flat, inner excessively crowded, erect and inclined to be blotched or striped, very like Vesta, very waved [indistinct word]. Good flower.’ William Macarthur. [MP A2948-6]. Spelt ‘Marianna’ in the gardening notebook. First described in 1852, ‘Mariana’ is not listed in the 1857 catalogue. Believed by Waterhouse to be extinct by 1947 [CQ] but a plant of this name and broadly fitting Macarthur’s description is still available today. A plant identified as ‘Mariana’ survived in the Old Orchard, part of the Elizabeth Macarthur Agricultural Institute, but died in 2005 before it could be propagated.